Good Afternoon to you all, John’s friends. My father was Joseph Francis D’Souza, my mother was Anna Gracy D’Souza.... and there were 6 of us children. Joseph, Theresa, Rose, John, Romeo and Xavier. While I represent everyone in our family, these are my personal insights on My Big Brother John. I am Romeo and I am John’s younger Brother. John and I started life in the Railway Quarters in Nairobi. My mother had a strict rule for me. She said that if I wanted to go to Dr Ribeiro Goan School, I’d have to hold John’s hand when walking to school. Probably because at 6 Years old I ran all over the place and was careless when crossing roads. So I walked to school with John daily and knew many of his classmates from the Railway quarters area. His class of 57 was quite special to me. He was quite a smart cookie and often helped me with my Math and Science homework. But, he was sometimes hard to understand because he’d start in the middle of a problem and work to the end rather than start at the beginning. We played hockey, cricket, and marbles etc. as kids. He knew all the rules and he’d change them if he was loosing. There were many many times growing up when he fished me out of trouble. In late 1956 we moved from Railway Quarters to a house in Nairobi West that my parents had built. We spent the rest of our time in East Africa in this house and I have very many Happy Memories of our lives there. We played a lot around the house making steamboats, and other toys. He was pretty good at Science too. There were lots of family events, Weddings, Christenings, Birthdays etc. and we had fun. My Mother was a good cook and that kept us happy. After graduating with a Degree in Civil Engineering from the Royal College in Nairobi. He worked briefly for the Survey of Kenya and Ministry of Works and then proceeded to London England. I did not quite understand then why he had to go to England but I trusted his judgement and left it at that. He said something about further education. I stayed with John in London on my way to Canada and toured Europe with him in 1969. Europe was quite different then. I’ll always remember the time at Trevi fountain in Rome when an American woman gave John and I hell for not knowing and speaking Konkani. I think that may have sparked his interest in Konkani. I give him a lot of credit for helping me in my academic and professional life and I’m very grateful to him for guiding me to the career I had with the Directorate of Civil Aviation in East Africa, Transport Canada and Nav Canada. He advised me to apply for a Job in the Telecommunications and Electronics field in Nairobi and that set me up for life. In Canada, he worked for various Engineering companies finally retiring from Ontario Power Generation where he worked in the Nuclear Plant in Pickering. He often talked about the special protective outfits he had to get into to work in that Nuclear facility. With respect to our family, John was the backbone of our lives. He was not only wise and smart, but he could see ahead and often predicted outcomes well ahead of time. He kept tabs on everything that was going on in the family and was always there for advice. There were occasions when I told him that he was a Genius. Which he was. John was keenly interested in the academic achievements of his Nephews and Nieces and Grand Nephews and grand nieces and was always available for advice. He organized and participated in many family events such as birthday parties, Picnics and Camping Trips Christmas Parties etc. Every event was more enjoyable and fun when he was there. He was full of comments and humorous snide remarks some of which were in Konkani and others in Swahili. He was extremely interested in our family’s history and collected many old family photographs. He knew more about our parents and grandparents than anyone else and provided all kinds of commentary and information for various special events like my Dad’s Birthday etc. and the people in our family. It’s only now, after his death, that I realized that John actually had 2 families. He had us, his brothers and sisters, and he had you, the Goan Community. He had his special clubs and associations that consisted of TEGSA, 55PGA, GCG, Goan Archives, Konkani DVD and many more. Because of this, I asked John’s long-time good friend and associate on many ventures, Juliet Rebello if she and her group could organize the Celebration of life reception for John. I felt that it would be quite fitting for John’s friends to arrange his Celebration of life. I think John would have liked this. So today's Celebration of Life for John has been put together by Juliet and her team. I also wish to acknowledge and applaud and thank Cyprian Fernandes from Sidney Australia for assisting me and holding my hand during this tough time. Trevorlyn Menezes for all his help, advice and support especially getting this hall, and Michael Pinto from Winnipeg who worked with John on Konkani projects but has never met John in person. He put together a very informative booklet relating to John. It’s my intention to Email it to anyone that requests it as there are a limited number of printed copies here. It was Trevorlyn that made me realize that John had another family as well. And they too needed to be involved in this event. Thank You Trevorlyn. The lovely photograph of John was Initiated by Cyprian Fernandes and touched up by Merwin D’Souza the Webmaster of the School Web site. Thank you Merwin and Skippy. Thanks, Juliet and Tina, Valence and the Knights of Columbus, and your team for organizing this. And a big Thank You to Tim Demello and Ernest Vienna, Claude Gomes, Norman DaCosta, , Bernard Ribeiro, Roque Baretto, 55PGA, and everyone involved that had a special take on John. He was a multi-faceted guy; sort of like a diamond. Thank you, Elma, for leading us in prayer. A big thank you to my Brother Xavier and my sisters Theresa and Rose for your assistance in this difficult time. My gratitude also goes out to all of our nieces, nephews and spouses for your tremendous support and consideration. Finally, my sincere thanks and gratitude go out to all of you for making this a special occasion for my brother John. John was not just my Brother, he was my best friend, and I’ll miss him dearly forever. 2. Elma de Souza led the Grace before Meals. 6. Norman Da Costa. Vice President 55PGA. 9. Selwyn Colaco. President of the GOA. 11. 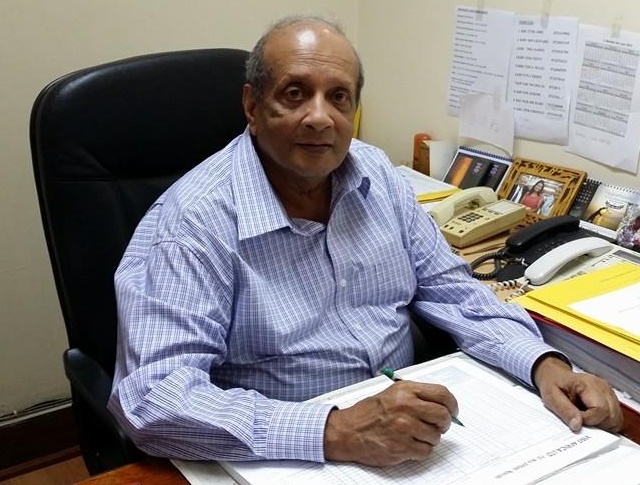 Frank Fernandes,( long-time associate of John) .alias Bwana Frank sang a special Konkani Song he wrote for John and the Bessau tuje (tumche) ponddom .i.e. The Blessing in Konkani. 12. Joseph Terry D’Souza. John’s Oldest Nephew.